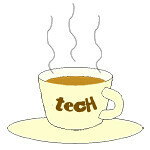 Lollipop « Tech bytes for tea? Samsung has unveiled globally their latest flagship phablets. Both have 5.7-inch Quad HD Super AMOLED displays and 4GB RAM. Prices and availability in Singapore below. The new Samsung Galaxy Note 5 4G+ (left) and S6 edge+ 4G+ comes with 5.7 inch QHD displays and 4GB RAM. So the “basic flagship” is the Galaxy S6, with the other models being variants offering curved edges, bigger displays and stylus. The Note 5 offers, as its main differentiator the S Pen stylus, but is essentially on the same hardware/software platform as the S6 series of smartphones. Huawei launched its Android flagship smartphone – the P8 – during CommunicAsia2015 and showcased three wearable products – the Huawei TalkBand B2, TalkBand N1 and the Huawei Watch. Prices below. The Huawei P8 measures 144.9 x 72.1 x 6.4mm and weighs 144g. Richard Yu, CEO of the Huawei Consumer Business Group introduced the Huawei P8 smartphone for the Southern Pacific Region at the Marina Bay Sands in Singapore. For Huawei, the Southern Pacific Region comprises Australia, Indonesia, Malaysia, New Zealand, Philippines and Singapore. The P8 was first launched globally in London in April this year and is part of the company’s transition from a B2B entity to a consumer centric brand. The three wearable products – the Huawei TalkBand B2, TalkBand N1 and the Huawei Watch (currently under development) – were all launched at the Mobile World Congress 2015 in March 2015. The Huawei P8 has a 5.2-inch FHD screen with 1920 x 1080 pixels (424ppi, 16 million colours) and capable of playing 1080p video. The HTC Desire 626 will be available in Singapore from TODAY at S$358 in White Birch and Blue Lagoon with M1, Singtel, StarHub and major retailers. HTC’s new entry-level Android smartphone, the Desire 626 is now available in Singapore (S$358). The 5-inch HTC Desire 626 is slightly smaller than the pricier 5.5-inch Desire 826 (S$498) that hit the shelves in Singapore last week. The HTC Desire 826 dual sim will be available in Singapore from TODAY at S$498 in White Birch and Blue Lagoon with M1, Singtel, StarHub and major retailers. The smaller entry-level sibling of the 5.5-inch HTC Desire 826 – the 5-inch Desire 626 will be available in Singapore at S$358. The mid-range HTC Desire 826 dual sim is useful for frequent travels that needs to slot in a second SIM card using the local network of their destination. The HTC Desire 826 dual sim is driven by the new Qualcomm® Snapdragon™ 615 Octa-Core 64-bit processor with 2GB RAM and 16GB storage with microSD expansion up to 128GB. A range of accessories including the HTC Dot View case will also be available for the HTC Desire 826 dual sim. The phone uses Nano SIM cards and is capable of 4G LTE streaming. It ships with Android 5.0 Lollipop OS with HTC Sense user interface, on a 5.5-inch Full HD 1080p display. The phone is powered by an embedded 2600mAh Li-polymer battery. The HTC Desire 826 dual sim promises immersive HTC BoomSound with Dolby Audio surround sound from your phone. The smartphone comes with an audiophile-grade headset that is tuned for HTC BoomSound with Dolby Audio, offering a cinematic surround sound experience. HTC was the first phone maker to put dual front-facing stereo speakers on a smartphone. The HTC Desire 826 dual sim has 13-megapixel cameras on the front and rear, so that selfie lovers can enjoy great image quality for their self-portraits. LG Electronics has globally unveiled its latest flagship smartphone – the LG G4. The 5.5-inch (2560 x 1440, 538ppi) smartphone ships with Android 5.1 Lollipop and comes with 3GB RAM and 32GB memory. Available end-May in Singapore from M1, Singtel, StarHub and LG Mobile retailers. Promotion with M1 and StarHub (while stocks last): Customers who register their purchase interest (15-24 May) with M1 and StarHub (Singtel not included) will get a free 64GB MicroSD card and for purchases of the LG G4 in leather, a free genuine leather Quick Circle Cover. This is in addition to the free extra battery and charger cradle for purchases from all three telcos. The LG G4 is available in handcrafted, genuine full grain leather in three beautiful colors (Black, Brown and Red). Other material options for the G4 rear cover include artisan-forged Metallic Gray as well as lustrous, Shiny Gold. The regional launch for the LG G4 was held in the ArtScience Museum in Singapore. The leather version of the LG G4 is priced at S$998 in Singapore while the metallic version is priced at S$928. Customers will receive an additional LG G4 battery and battery charger worth S$126 when they purchase an LG G4, while stocks last. Consumers can register their interest at the websites of the respective telecommunication companies from 15 May 2015 to 24 May 2015. The LG G4 is available in handcrafted, genuine full grain leather in three beautiful colors (Black, Brown and Red). Other material options for the G4 rear cover include artisan-forged Metallic Gray as well as lustrous, Shiny Gold. The G4 has a 16-megapixel rear camera with F1.8 aperture and OIS 2.0 – which now incorporates three-axis optical image stabilisation to reduce blur. The camera also added Manual Mode for photography, allowing users to directly control focus, shutter speed, ISO, exposure compensation and white balance. The latest flagship model in the HTC One family debuts in Singapore on 2 May, 2015 and is available from M1, Singtel and StarHub for S$1,008. Tech specs below. The HTC One M9 will be available in dual-tone silver and rose gold, and single-tone gunmetal grey in Singapore (S$1,008) from 2 May 2015 at M1, Singtel, and StarHub. A single-tone gold and dual-tone gold and pink version may be available later. The HTC One M9 ships with Android 5.0 (Lollipop) with HTC Sense 7 and is driven by a Qualcomm Snapdragon 810 octa-core CPU with 3GB RAM and 32GB memory. HTC One M9 in single-tone gunmetal grey, with dual front-facing speakers and new 5.1 channel Dolby Surround sound simulation. Measuring 144.6 x 69.7 x 9.61mm and weighing 157g, the M9 is powered by a 2840mAh battery and has a 5-inch display with Full HD 1080p. The M9 uses Nano SIM and comes with NFC and micro-USB port. It has a 20-megapixel rear camera with sapphire lens cover and front camera with f/2.0 lens capable of 1080p video recording. The main camera is capable of shooting 4K video. The HTC One M9 was first unveiled in March during the Mobile World Congress in Barcelona, Spain. ASUS boasts that the ZenFone 2 is “the world’s first 4GB RAM smartphone running on a 2.3GHz 64-bit Intel Atom processor with ultra-fast 4G/LTE and fast-charge 3,000mAh battery for powerful all-round performance”. Prices range from S$249 to S$499. Pre-order now with collection on 18 April. The 2GB versions of the ZenFone 2 are now available in Singapore, the first country in Southeast Asia to start selling it. The 4GB RAM versions (with 32GB and 64GB memory) will be available in Singapore from 16 May. The 32GB model will be available at all ASUS authorised retailers, ASUS brand stores, ASUS online store, M1 and StarHub shops; while the 64GB model will be available at Singtel. The ZenFone 2 (ZE500CL, ZE550ML) models sport a matte finishing, available in Black, White and Red, while the ZenFone 2 (ZE551ML) encompasses a stunning aluminium hairline metallic finishing available in Black, Gold, Red and Silver. Singapore is the first country in Southeast Asia to launch the new ASUS flagship smartphone. With an all-new ergonomically-curved design and a 5.5-inch full HD IPS display, the ZenFone 2 comes with a 13MP/5MP PixelMaster camera. The ZenFone 2 premieres many evolved features, including a new version of ASUS ZenUI – which boasts the world’s first fully-customisable interface – and Trend Micro security software for safer web browsing. Prices for the various models are tabulated below. Both new devices ship with Android 5.0 Lollipop and are waterproof (IP65 & IP68) & dust-tight. Sony Mobile unveils the Xperia Z4 tablet (left) and Xperia M4 Aqua smartphone (right), during MWC 2015 in Barcelona, Spain. Sony Mobile Communications (Sony Mobile) introduced its class-leading Xperia Z4 10.1-inch tablet, and its mid-range Xperia M4 Aqua smartphone at Mobile World Congress 2015 in Barcelona, Spain. Sony boasts that the Xperia Z4 is the world’s lightest and slimmest 10-inch tablet, as well as the world’s brightest 10.1-inch 2K display (2560 x 1600 pixels), with a long battery life for up to 17 hours of video playback. The Sony Xperia Z4 Tablet will launch globally, in 4G LTE and Wi-Fi variants, from June 2015. The Xperia Z4 measures 167 x 254 x 6.1mm and weighs 389g for the Wi-Fi version (393g for Wi-Fi + LTE version). The Android 5.0 Lollipop tablet runs on a 2GHz Qualcomm Snapdragon 810 octa-core 64 bit processor with 3GB RAM and 32GB internal memory, with up to an additional 128GB through the microSD card slot. Samsung unveiled during Mobile World Congress 2015 in Barcelona, Spain its latest flagship smartphone – the Galaxy S6 – as well as the curved edge version – the Galaxy S6 edge. Global availability: 10 April, 2015. The Galaxy S6 (right) measures 143.4 x 70.5 x 6.8mm and weighs 138g; while the Galaxy S6 edge (left) measures 142.1 x 70.1 x 7.0mm and weighs 132g. Both run Android 5.0 Lollipop. Going further than the Galaxy Note edge which only has one curved edge, the new Galaxy S6 edge has curved displays on both edges. Its glass body is made from tough Corning Gorilla Glass 4 and is available in an array of colorful jewel tones, including White Pearl, Black Sapphire, Gold Platinum, Blue Topaz and Green Emerald. Both the Galaxy S6 and Galaxy S6 edge are equipped with F1.9 lenses for both the front 5-megapixel and rear 16-megapixel cameras. A new “Quick Launch” feature give users fast, direct access to the camera from any screen in just 0.7 seconds by simply double clicking the home key button. The new 32GB Android Nexus 6 will be in Singapore from tomorrow (28 February) at S$998. The 32GB Nexus 6 is available in Midnight Blue and Cloud White, and will retail for S$998 exclusively through open channel (retail stores). The phablet-sized 6-inch Nexus 6 is the first to run Android 5.0 Lollipop. “Every one of our Moto phones is built on a foundation of pure Android – it’s easier to use, delivers amazing performance and lets you choose how you want to use your phone,” – Motorola Mobility. The new Material Design interface responds to touch and voice in more intuitive ways, while its 2.7GHz Qualcomm Snapdragon 805 processor with quad-core CPU makes it easy to switch between apps. The phablet has 3GB RAM and is water resistant. Nexus 6 measures 83 x 159.3 mm and weighs 184g. It has a 5.96-inch AMOLED display with 1440p Full HD, 16:9 aspect ratio, 493 ppi, Corning Gorilla Glass 3.